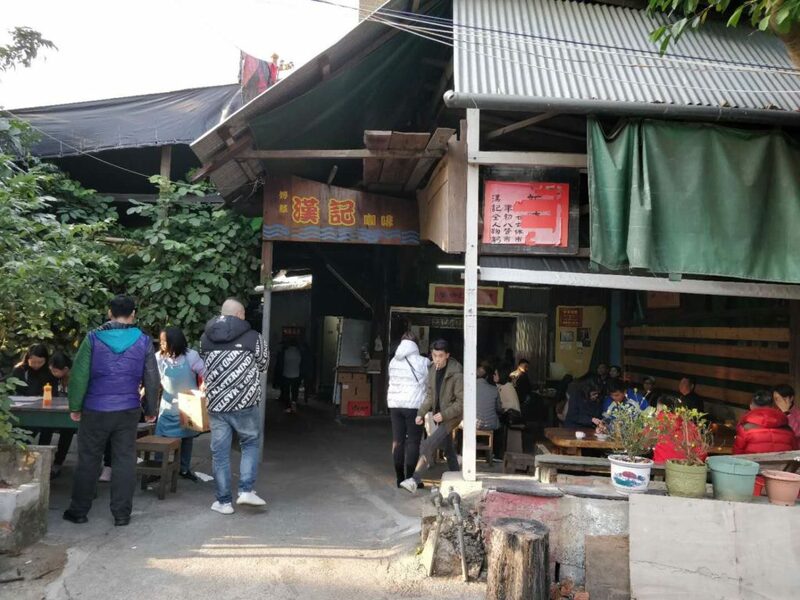 One of my friend recommended me Han Kee in downtown Coloane has very special hand beating coffee worth to try. I was very confused, I have never heard about hand beating coffee and I wonder how is it different from regular coffee. 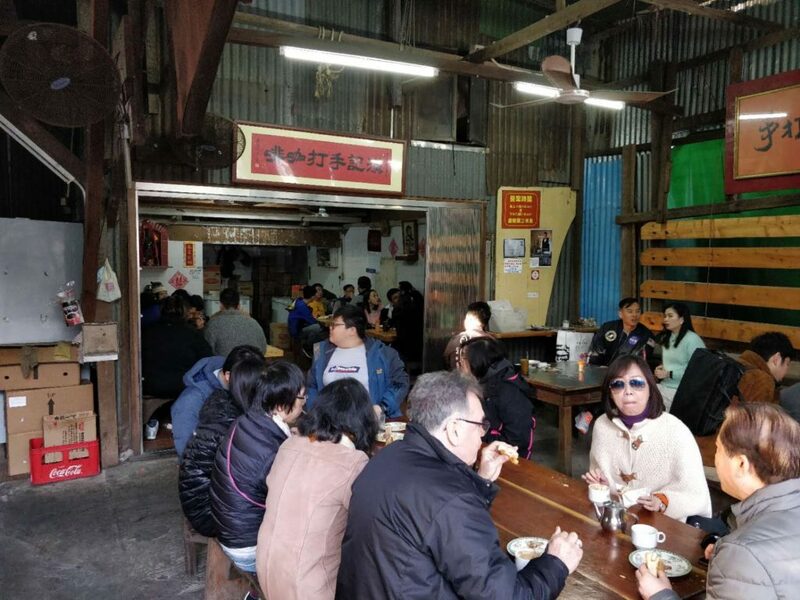 Han Kee is located at downtown Coloane. I decided to spend my chilling afternoon tea time there. 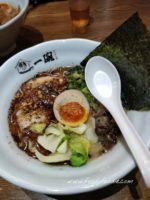 There are not much variations on the menu, they mainly serve sandwiches and noodles, I sat down, ordered the hand beating coffee and start to investigate the menu a little bit. 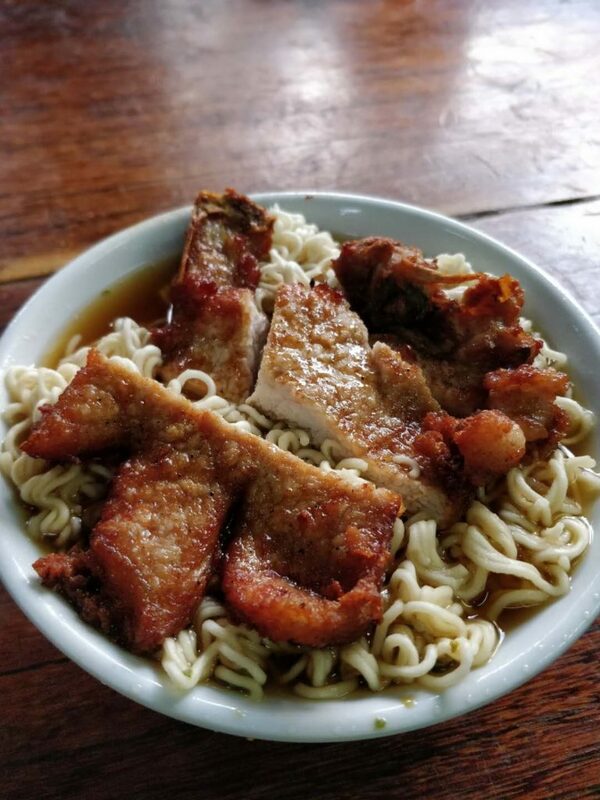 I ended up order two more dishes, the sandwich with egg and spam, instant noodle with pan fried pork chop. I guessed there were so many customers during the weekend, the food took a little bit too long to come. I walked around and took some pictures, I found out their stow is heated with dried wood. 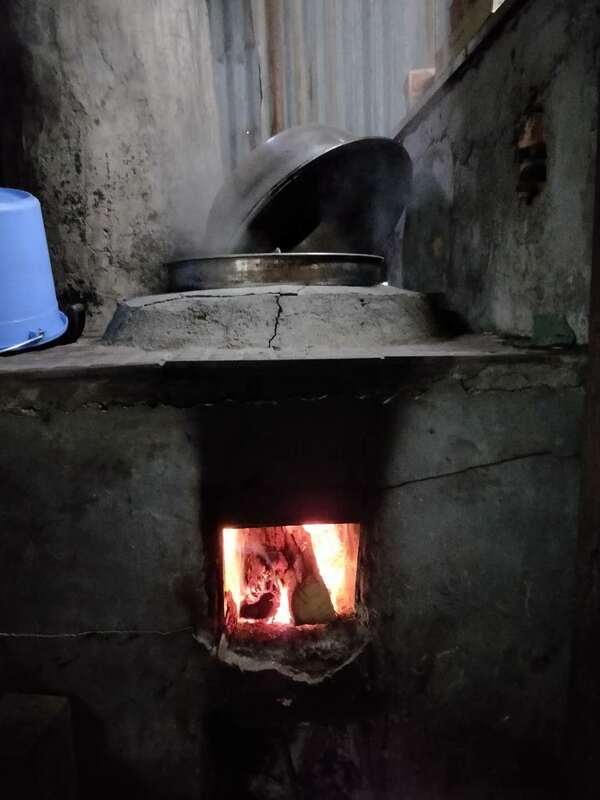 I guess this is an ancient Chinese way to cook. 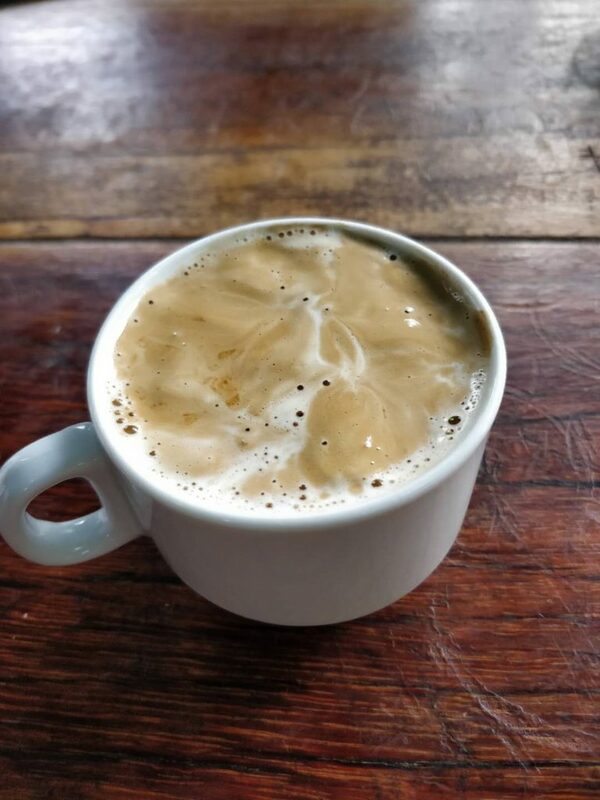 The thick bubble foam on the top of the coffee is the result of repeatedly quick stir movements, I kind of like the thick texture and it is rich in flavour, the coffee is so good in both the smell and taste. I highly recommended. 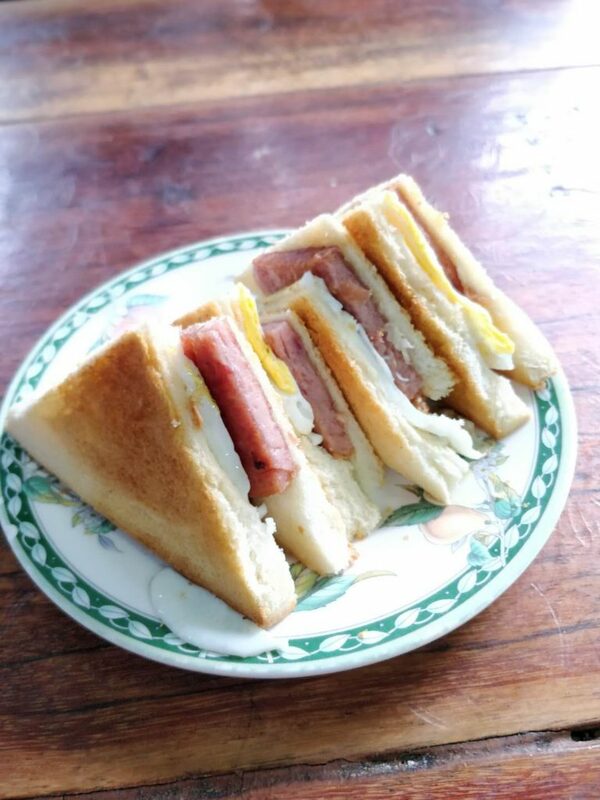 The toast is very crispy and fresh, the combination of egg and spam is always the best, the texture of the pan fried pork chop is very tender, they marinated it well before they pan fried it. I personally like this instant noodle with little hard chewy texture. 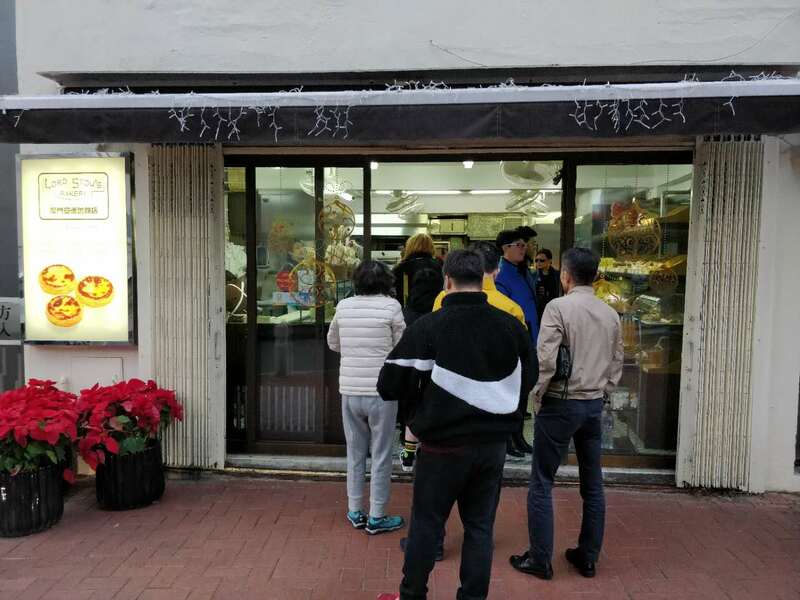 It just took a little bit walk from Han Kee where you can address Lord Stow’s Bakery. 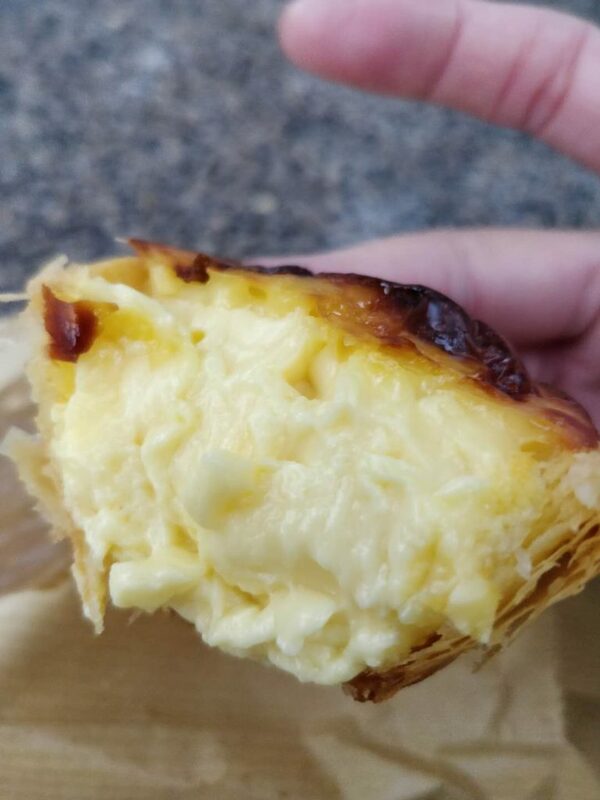 Portuguese Egg tarts are always been one of the tourist attraction in Macau. 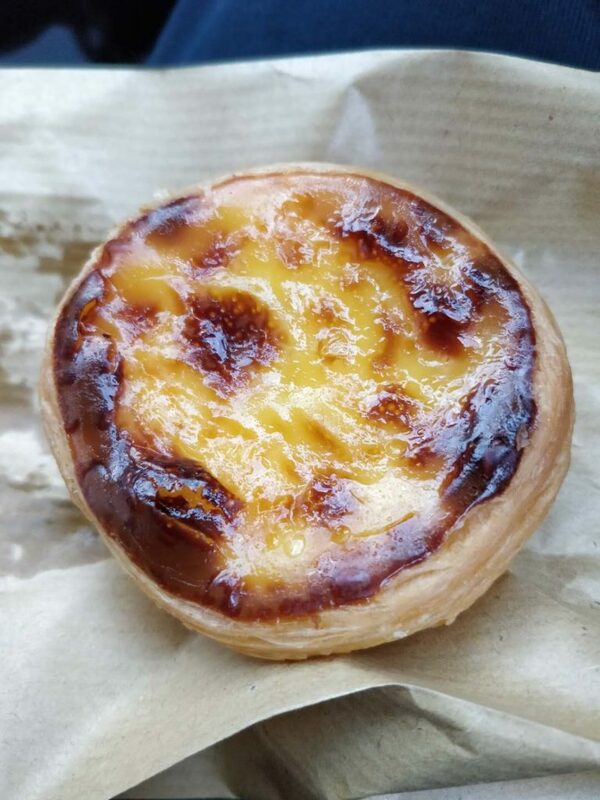 Lord Stow’s bakery is stated as the best Portuguese Egg tart bakery in Macau, they started to outreach their business across the whole city especially in the malls and hotels. The one in downtown Coloane is the very original one. 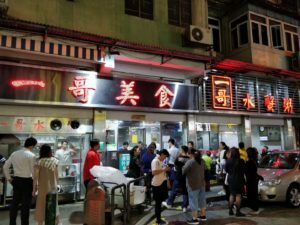 You can always see people waiting in long line.The egg custard is very milky and the layered crust is extremely crispy when it is hot. The burnt caramel is the perfect match with the egg custard. This extraordinary taste that you can’t experience elsewhere . I like to discover the true side of a city and its flavors. Not those found on tourist guides, but the one experienced by citizens! that coffee looks amazing – I’ve never heard of it either. But the food….that is def something i’d like to have for breakfast. Both options look incredible, and I ma a huge sucker for egg tarts. Yum! 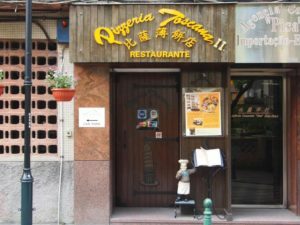 i had the chance to visit Macau few years ago and till now i still remember the food and the architecture! i love the fusion of Asia and Portugal! Now I’m starting to miss it! Wow this is really amazing. I was able to travel like this in Puerto Rico and it was such a fantastic experience. I recently started back drinking coffee, thst coffee looks delish. It’s always fun discovering new places. This place looks awesome. That food looks delicious. This coffee place looks so cool. I want to try that egg custard!!! The tart look really interesting. Something I think would be interesting for breakfast. I’m a huge fan of hand-beaten coffee and the pictures of the coffee and tart look delicious! It really looks tasty I must say. Worth a try. So good and tasty. This looks like it would be some incredible food. 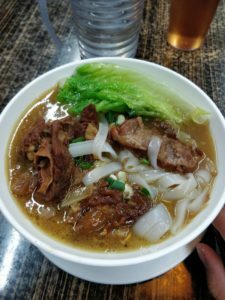 I have never had anything like the one dish and would love to give it a try! That egg tart and coffee, noodles looks delicious . I love to eat good food that too famous one. Looks like you had fun day.